Digital Movie watching just got better! WB Movies All Access is whole new way to watch movies. 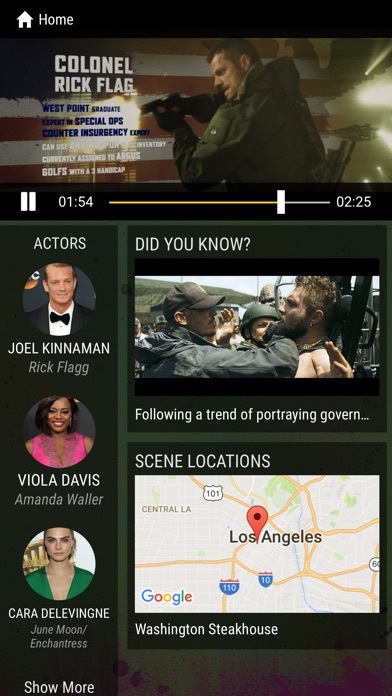 • Experience synced features • Get exclusive content • Discover scene locations • Share clips with friends • And more! Redeem a compatible Digital Movie on UltraViolet and watch in WB Movies All Access. 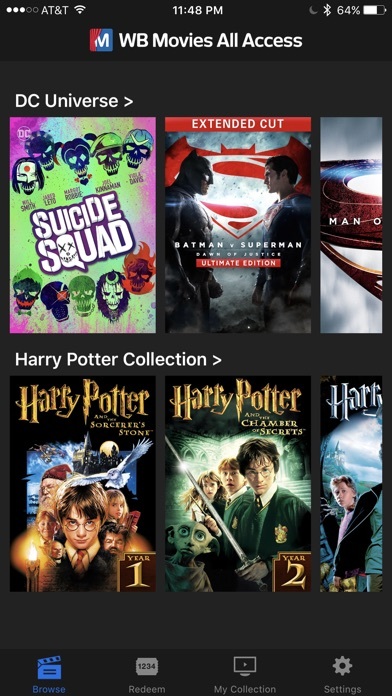 If you already own a compatible movie in your UltraViolet library, simply link your existing UltraViolet account to WB Movies All Access and enjoy a new to watch your movies. My log in session expired and after multiple attempts of trying to change it, I have still not received an email to do so like I was told. Very disappointed. I have many movies on the app that didn’t transfer to Movies Anywhere and now I have 0 access to them. 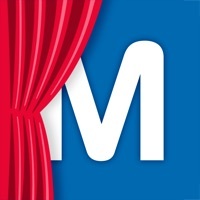 I have well over a hundred digital movies at my disposal through the “Movies Anywhere” app which seamlessly connects to all of the other movie apps that I needed for my movie codes. This stupid app will not connect with the largest movie app. So now I need to go to this app for one single movie. Also this app will not let you download the movie so that you can watch it anywhere. Why not, I paid for it. 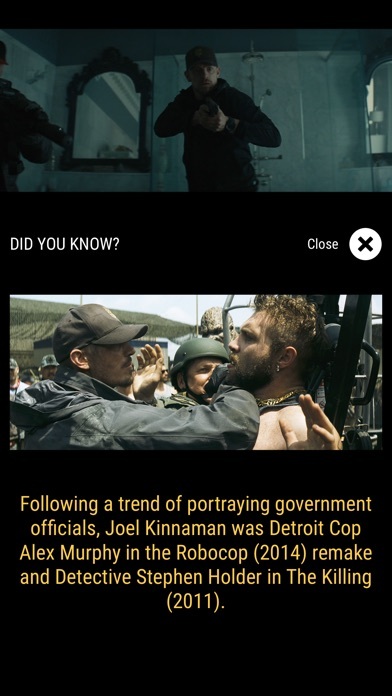 This is the lamest movie app that I have ever been forced to use. I wouldn’t use it if I didn’t have to. Come on WB, it is 2018. Waste of time. Completely useless. Unable to watch anything. App works but is extremely limited. Should have an Apple TV app and should integrate like movies anywhere in order to remain relevant and competitive. When there is a TV about changes the five stars, cool app but with no TV app it is almost useless. Also, this doesn't bode well for the new DC Universe streaming service. Is there is no TV app for that I will be incredibly disappointed.